But let’s not discuss the merits of the movie or the book. 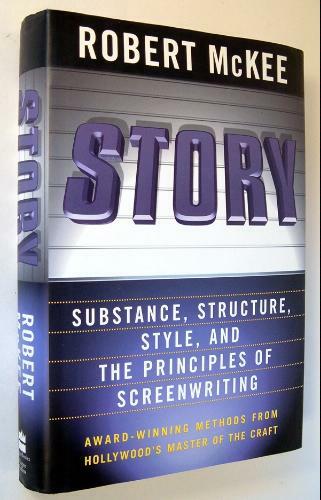 Instead let’s consider an idea that such writing books as Robert McKee’s Story mention, namely scenes having up and down emotional beats (or positive and negative charges), and how this concept is used in The Fault in Our Stars as a case study. Scenes as described in Story are what many of the writers I know refer to as sequences, at least in the part of the book that discusses this topic. This is important to note because I was turned off by this idea when I first read it. I was even more turned off when a person on DoneDealPro.com told me screenplays are horrible unless every single scene goes up to down, then the next from down to up, and on and on. It’s when I started listening to the audiobook of Story on the same day as watching The Fault in Our Stars that I got this and saw that even Robert McKee was really talking about sequences. Since you can read the book to see what I mean, let’s look at the movie for an example. In one very important sequence, Hazel finds out that she will be going to Amsterdam after all, and there are a few scenes that are part of this sequence. This sequence, by the way, is a negative to positive, or down to up sequence, that goes from Hazel thinking her chance to go to Amsterdam was crushed when her illness kicked in, to finding out she can go, going, arriving, and having an amazing evening (until the huge negative of meeting her hero author). If each of these scenes was a positive to negative and continued with the pattern, we would get exhausted! But as a viewer we love watching this series of scenes that make up a sequence – Hazel is having a blast, and so are we! It is also because the next sequence is a big descent to the negative that this works so well. – The big news, “We’re going to Amsterdam!” In this scene Hazel finds out by accident via an email that she asks her mom about, and her mom confesses that she was supposed to wait and tell Hazel when her dad got home. – The scene where Augustus arrives to take them, and in a limo! – The airplane, where we get to watch her and Augustus be so cute as he goes on his first flight and freaks out (I admit, there’s a small negative in the mini-scene that follows, still on the plane, where she looks at him with a look that says ‘this is not going to end well,’ but in a way that’s still a positive because she couldn’t be having that thought at a bad time. – The arrival with Amsterdam, with horses, beautiful architecture (and more scenes that I’ll skip over, that include arriving at the amazing hotel, a touching mother daughter moment where the mom gives Hazel a dress for her romantic dinner with Augustus that night, the ‘Wow’ moment when Augustus comes to pick her up, and a boat trip that feels like something out of Venice). – The dinner scene where they try champagne (or “taste the stars”) for what seems like the first time, and find out that their definitely expensive check was paid by the author they are in Amsterdam to meet. Oh yeah, and this is where Augustus tells Hazel he loves her. – A nice walk back to the hotel from the restaurant, where everything seems perfect, and they stop by the side of the road to see an amazing live musical performance by street musicians. And then comes the meet-the-author sequence, which ends in the big negative when they meet the author and he turns out to be a humongous douche. Each of these are scenes (with some summarized), that combine to make up what I would call the going to Amsterdam sequence. Maybe you could argue that there is the “We’re going to Amsterdam” and then the “Arriving in Amsterdam” sequences, with that small negative I mentioned above as the up and down fluctuation. Either way, I hope you see my point. Now I understand it, and I hope you do to. It may have been common sense to us, on some level, but to be consciously thinking of it in this sequence way helps keep our minds focused on the structure and, I believe, will make our screenplays better. P.S. On another note, one of many things this movie did great was the idea of the pope swimming, as discussed in Save the Cat. This idea is that while exposition is going on, we see a pope swimming to keep our attention (or something equally odd for the eye to look at). In this movie, they have Isaac going through a break-everything-he-can rant because he just went through a break-up, while Augustus and Hazel are discussing her favorite book. I will also note that the writers were Scott Neustadter and Michael H. Weber, the writers of 500 Days of Summer. They’ve made some amazing movies, and I can’t wait to see what they come up with next. * A post similar to this appeared on the authors other blog, CreativeWritingCareer.com.